Every job has its struggles, but very few jobs have an immediate effect on the health and liveliness of people around them. 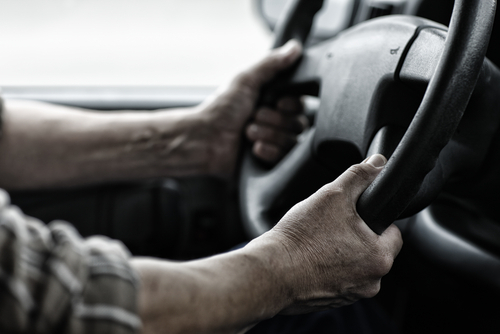 Truck drivers face the daily struggle of balancing work demands while demonstrating exemplary driving habits. Here are the three traits of perfectionist drivers who excel at this demanding feat. Take care of yourself, period. Get adequate rest, exercise when you can and eat nutritious meals that promote healthy body function. According to an infographic provided by expert truck accident lawyers, the top cause of truck crashes is driver fatigue. Most highway-side dining options are packed with bad fats and processed carbohydrates that actually make us more tired. Pack healthy meals that include energy boosters like organic eggs, quinoa, whole grain cereals, nuts, seeds and berries and LOTS of water. When you’re feeling tired, pull over. Use the truck’s flashers when driving below the posted speed limit for an extended period of time. Give your truck ample time and space when slowing down for a complete stop. Use brake lights early. Most motorists don’t realize how long it takes for a rig to stop. We’ve all seen the giant billboards along the freeways threatening that our texts and calls won’t be as important when we’re dead — but it isn’t that simple. Music players, maps and other media used when driving is everyone’s go-to excuse for distracted driving. Distracted drivers of normal vehicles can cause severe accidents and deaths, and distracted truckers can cause catastrophic ones. Opt to hand free devices or punching in your route and creating a playlist before you get behind the wheel, and keeping your phone out of reach.